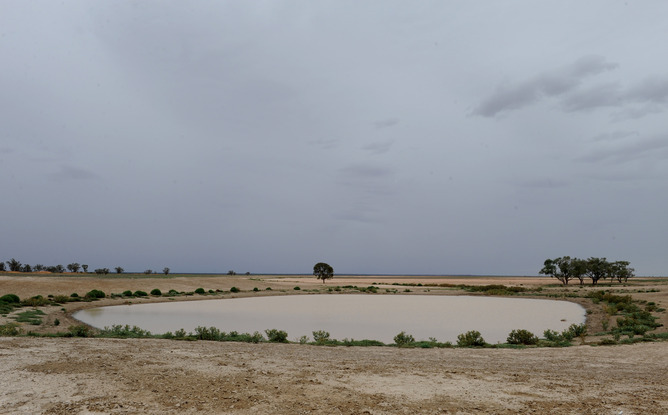 Three years ago in March 2010, southeast Australia was still in the grip of “the big dry” or the “millennium drought” – billed as the worst drought since European settlement. Dams across the Murray-Darling Basin were down to only 25% of capacity. Then the floods came, followed by yet more floods. Five months ago, the dams were 95% full. Since then, several thousands of gigalitres have been released and today the dams sit at around 70% – almost exactly the level they sat in 2001 when the drought first started to bite. Meanwhile, governments have spent billions of dollars trying to prepare Australia for the next dry, but the complexity of droughts means we have little hope of being ready. A recently published study, which I co-authored, analysed climate, water, economic and satellite data to try to determine the impacts of the millennium drought from 2001 to 2009. The millennium drought was unique in being both widespread and protracted. Had it been more local, the Murray River might not have been as affected. Entire floodplain forests died along the rivers of the Murray-Darling Basin; for many of them, the drought was just the final straw. Some of them had not seen a flood for decades. In trying to determine what was behind the low rainfall, we found only partial answers. In northeast Australia, the El Niño cycle could explain most of the observed drought conditions. In southeast Australia it was mainly a lack of autumn and winter rainfall that contributed to the protracted drought. This may have been caused by natural cycles in the Pacific ocean or by the same global weather system changes that are drying out southwest Australia and are consistent with climate models. We found some support for both ideas. In any case, it means we may have to assume that these new climate conditions are not going to change back anytime soon. In reaction to the millennium drought the Australian government has spent more than $25 billion to improve irrigation infrastructure, buy back water entitlements, improve water information, help struggling farmers, build new desalination plants, modify and expand water supply systems, and commission research, development and planning studies. New laws were also introduced, the National Water Commission and the Murray-Darling Basin Authority were created, and new staff appointed in various government departments and agencies. When it’s all combined, each of us will be chipping in well over $1500 in tax and water bills to pay for it. You might think that these government measures will prepare us for the next drought. Unfortunately, that is unlikely. Our study made clear that droughts are wickedly complex disasters, that each is bad in a different way, and that we basically have very few means to prevent their impacts. For starters, each new big drought is likely to be the “worst on record” in some new way and bring its own surprises. This is partly because severe droughts are by definition rare; on average they happen once every 20 years or so. Over such long periods, our collective memory fades and society changes.The WWII drought was about as bad as the one we just had, but a lot of things changed in our society in between. Each new drought is also unique because drought severity can be measured in three different dimensions: how widespread they are, how deep they bite, and for how long they grind us down. In that last respect, the millennium drought was a shocker. The drought affected Australia in so many different ways, and interacted with so many other events and changes, that often we have no way of knowing what a similar drought would have done 20 years ago, or what it will do 20 years from now. Many impacts can be explained in hindsight. But being able to explain the impacts, does not mean we understand them well enough to predict them. And if we cannot predict the impacts, there is little hope that we can prevent them. For example, we could estimate that Australia’s dry land wheat production was 20% lower during the drought years than it would have been under average conditions. Despite that, total wheat production still went up, because farmers continued to innovate and expand cropping area. Increasing atmospheric carbon dioxide levels may also have helped the crops. The study found that the reduced river outflows and lack of flooding were literally made two times worse because of the way the dams and weirs were operated. Don’t blame the river managers: the operating procedures were designed to secure water for the people and businesses relying on it, not to make the river flood. The recent decision to set aside 2750 gigalitres per year for the environment will not dramatically turn this around. And then, for some floodplain forests the recent floods may have come too late; they may be gone forever. The water and drought policy reforms so far have certainly not inoculated us against drought, and progress on the thorniest issues appears to be stalling. Better drought monitoring and forecasting systems are being put in place by the Bureau of Meteorology. They may be ready in time to warn us for the next big drought, but will not stop it. Some politicians still have their pipe dreams, believing we can drought-proof Australia by pumping water from the wet north. That may be possible in theory, but will we fill the rivers and drench our dry lands with it? The costs would be astronomical, not to mention the side effects. As Wentworth Group member John Williams put it, perhaps it is time we myth-proof Australia instead. Maybe we should stop trying to fight droughts, and start living with them. Regardless, the next drought will likely bring some new nasty surprises and break some record or other. What is a fairly safe bet is that temperatures will have risen further by then. The 2003 summer heat waves in Europe and subsequent summer heat waves in the US, Russia and China have shown that increasingly, droughts and heat waves will go hand in hand. With the dams sitting almost exactly where they were before the big dry, it seems we are primed for the even bigger dry. Albert Van Dijk worked at CSIRO Land and Water until 2012 and retains an unpaid affiliation. While at CSIRO, he received funding from the Bureau of Meteorology, National Water Commission, Murray-Darling Basin Commission, and other government sources. This is really scary, imagine living in a dry place where there are no plants or other food source, where everything living thing are in danger of loosing their lives.